Feel like you’re ready to try a few new brews this summer? Are you on the hunt for the perfect summertime beer? Are you a fan of summer ale beers, but feel like there’s just nothing out there that you haven’t already tried? If so, then it sounds like you need to keep on reading. We’re about to let you know how you can seriously upgrade your beer drinking experience the entire summer long. In this post, we’ll let you get a look at some of the best summer beers that you simply can’t let the season end without trying. We’ll also tell you where you can find the top pouring accessories to get the most out of your drinking experience. 1. The Bone-A-Fide Pale Ale from Boneyard Beer Co.
Based in Oregon, Boneyard Beer Co. has long made some of the best summer beers that we just can’t live without. However, with their Bone-A-Fide Pale Ale offering, they’ve truly outdone themselves. If you’re into tons of floral flavorings alongside somewhat fruity and notes that call to mind the tropical feelings of summer beaches, then you’ll likely be just as big of fans of the Bone-A-Fide as we are. You’ll also notice that it has somewhat of a malted flavoring, which helps to give it a unique spin. The taste even finishes off with somewhat of a spicier kick, which can taste almost like a hint of pepper. Still, the flavors never end up feeling like they’re competing with each other. Instead, they all meet nicely on the tongue. If you’re in the market for a solid summertime beer that you won’t soon forget, try the Mexican Honey Beer from Indeed Brewing Company. If you’re a fan of citrus beer, you’ll love the taste of this one. As the name implies, you should also expect to experience a somewhat sweeter, honey-like taste. Don’t worry, though. We can promise that you’ll never feel like you’re drinking syrup. 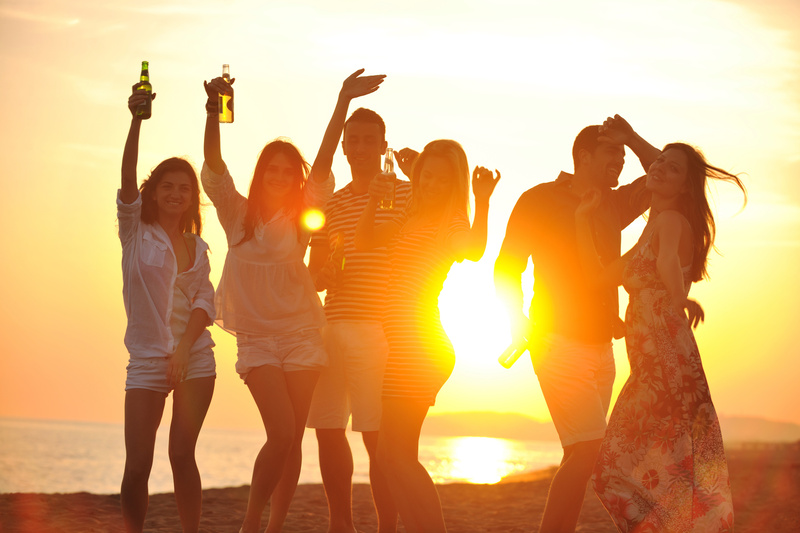 If you’re looking to get the party started earlier than ever, you’ll love that it has an alcohol content of about 8%. This is an Imperial Lager summer beer, so don’t be surprised if you feel like you can barely taste the higher alcohol content. When you’re looking for a refreshing beer that will please even the pickiest drinkers on your list? You can’t go wrong with Rodenbach Fruitage, which has an alcohol content of a little over 4%. This is perfect for the wine lovers in your friend group. We’re sure that they’ll instantly recognize the notes of cherries and elderberries that are present here. Plus, they’ll love knowing that this ale has been aged in an oak barrel. If you’ve got cocktail fans on your guest list, they’ll love that the taste of this beer calls to mind some of their favorite fruity summertime drinks. Especially in recent years, it seems like you can’t throw a stone in a beer shop without hitting tons and tons of incredible options from Brooklyn Brewery. Their Summer Ale beers are certainly no exception to this rule. The classic ale taste gives you more of an approachable taste than you’re likely expecting from a craft beer. We think that you’ll love the taste of a classic German pilsner mixed with a malted British pale ale. This is the perfect beer to serve at a summer barbecue, whether you’re grilling hot dogs and hamburgers or vegan tofu burgers. It also works as an awesome palate cleanser, to be enjoyed between some of the more adventurous beers on this list. It’s no secret that you can’t go wrong with any summer beer from Narragansett. However, especially if you’re on a little bit more of a budget than you’d like to be, but don’t want to sacrifice taste, this beer is a godsend. It’s also one of the lighter beers on this list, which means that you can enjoy as many cans as you’d like (within reason, of course.) If you’re looking for the perfect six-pack to throw into your bag for a day at the beach, this is the number one option to reach for. It’s a Blonde Ale that has a little over a 4% alcohol content, and is meant to be a take on the ever-popular Narragansett Pale Ale. Expect to experience malt, Chinook hops, and passion fruit. Are you interested in summer ale beers that bring the taste of California to wherever you are? If so, then we think you’ll fall in love with this American wheat option from Lagunitas. And if you like the taste of an extra hoppy beer? So much the better. In fact, this beer used to be an exclusively seasonal offering. It wasn’t until 2010 that the folks at Lagunitas decided to make it available to beer drinkers for 365 days out of the year. Though, as we mentioned, the main taste of this summer beer is pale wheat, you’ll likely also notice the hint of an IPA in the mix, as well. You can also expect to experience the taste of oranges and other citrus fruits. You should also taste tiny hints of peaches, roses, and apricots. You’ll especially love the somewhat spicy finish of this beer. That’s thanks to the taste of pine, which is a wonderful and unique surprise. Are you looking to bring a little taste of Bavaria to your backyard? If so, then you simply have to give the Kellerweis brew from the Sierra Nevada Brewery a shot. After all, very few things are better than a Hefeweizen beer, especially when the sun has started beating down on you. We adore this beer because of the seriously complicated process that goes into making it. Just like they do in Bavaria, the folks at the Sierra Nevada Brewery use what’s called an open fermentation style. You should expect to taste lots of different flavors, but with no sense of one dominating over the others. This beer is known for its trademark yellow-orange hue. Like many Bavarian beers, it’s also beloved by many for its high froth content. You may even be able to taste a few notes of banana in this beer, which is just one element of what makes this beer so complex. If you’re interested in taking this beer to the next level, you can also try adding a slice of lemon in it. If you’re interested in exploring still more German-style beers that are the perfect way to cap off a beautiful summer day? Then you have to give the Westbrook Gose beer a shot. You’ll love how the wheat base of this beer blends perfectly with the notes of both salt and coriander. Plus, it’s an awesome option for those who are looking to get a little more adventurous when it comes to their beer drinking. You’ll also be intrigued by the somewhat sour smell of this beer, and you’ll certainly be able to smell the spice here. In terms of taste, expect to experience something of a more lemony flavor than you might initially be expecting. You’ll also notice a heavier amount of sourness and tartness up front, but that will fade as you continue to drink the beer. This is medium-bodied beer, so it’s likely not going to be the sort of thing that you’ll be able to spend the day sipping. Especially for a German beer from an American brewery, however, you’ll be surprised by just how much you’re able to enjoy this bottle. Serve with meat and potatoes, German-style. Yes, the name of this beer is certainly a bit of a mouthful — but man, is it ever worth it once you get around to tasting it. If you’re in the market for the ideal summertime beer that has an awesome taste to go with it, then you can’t go wrong with pretty much anything from the Flying Dog Brewery. With the Dead Rise Old Bay Summer Ale, however, their team has truly outdone themselves. After all, anything involving everyone’s favorite seafood seasoner, Old Bay, has to be something worth writing about! This beer took six months to perfect, as it was a challenge to make sure that the unmistakable taste of Old Bay didn’t end up completely overtaking the beer itself. Believe it or not, you’ll definitely still be able to taste notes of citrus in this beer. Plus, the name actually comes from an old type of crabbing boat that seafaring men would take out to the Chesapeake Bay when they were in the mood to hunt for crabs for dinner. We especially love the art on the bottle of this beer. It’s designed to look almost exactly like a tin on Old Bay itself. You’ll immediately be able to recognize it, thanks to the red, yellow, and blue bottle — with the trademark drawing of a crab. Last on our list of some of the best summer beers? It would be incomplete without a mentioned of the ever-popular Apricot Ale from the Pyramid Brewing company. It’s also one of the few beers on our list that we think could be enjoyed any day of the year. You’ll enjoy a blend of two-row pale barley and malted wheat, complimented by an especially hoppy flavor. Yes, you’ll be able to taste the fruit in this beer. However, it certainly won’t overwhelm you. If you’re looking for the perfect combination of summery sweetness and the crisp bitterness of beers to be enjoyed in the colder months, we know that you’ll love this option. Also, if you’re a fan of beers that have a high level of carbonation, this may be your favorite summer beer on this list. If you’re a big fan of Pyramid Brewery, we think you’ll also enjoy their Lemondrop Beer or their Citrus IPA. Both options are perfect for sipping in the summer! This is the perfect beer to serve at your neighborhood potluck. It’s especially tasty when enjoyed with finger-food style appetizers. Of course, thanks in no small part to the sweetness of this beer, it also pairs incredibly well with deserts! Which of the Best Summer Beers Will you Try? 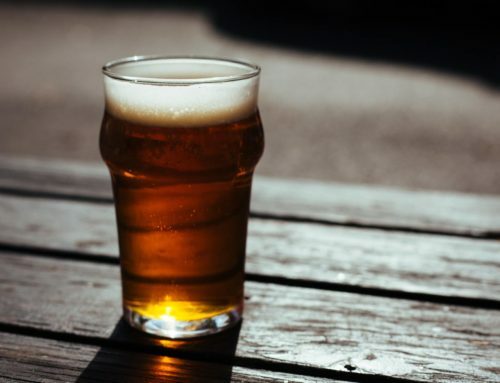 We hope that this post has helped you to figure out which of the best summer beers on this list are ones that you simply won’t be able to pass up. Whether you’re drinking on your back porch after a long day of yard work, or if you’re sitting around a summer campfire with friends and family, summertime beer can make every experience sweeter. Of course, as a beer fan, we know that you also want to be sure you’re serving your beer in the best possible way. That’s where our Quiktap products can help. Spend some time on our website to explore the incredible beer taps that we have to offer. 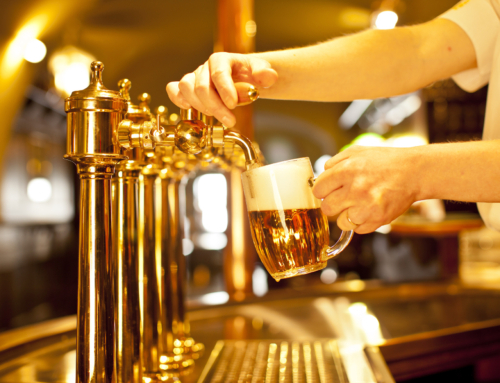 We create products with the best possible foam control, so that you can enjoy every beer until the last drop. Make this a summer to remember — and your best beer year ever.